Caela Cohen is a Registered Marriage and Family Therapist Intern (IMT 2836). She is a member of the American Association of Marriage and Family Therapy. 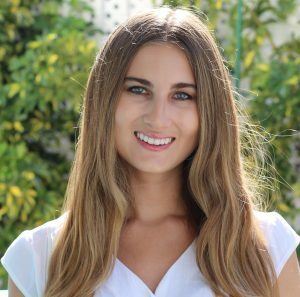 Caela holds a Bachelor of Arts degree in Psychology from the University of Miami, and was awarded the “Outstanding Psychology Major” for her graduating class. She earned a Master of Science in Education degree in Marriage and Family Therapy Counseling from the University of Miami. Caela’s passion is in working with couples, including premarital counseling, affair recovery, helping repair conflict, improve communication, and building deeper bonds between partners. She has been interested in the science of couples since her undergraduate years, ultimately joining a couples therapy lab at UM as a research assistant. Since then, she has dedicated herself to this area. She hopes to be able to help couples cultivate strong relationships that last. Caela also has experience and an interest in working with children, adolescents, young adults, and families, with issues pertaining to parenting, anxiety, depression, self-esteem, stress, phobias, and complex trauma. Expect a welcoming and safe environment in which clients can explore their concerns. Caela believes each individual has exponential potential as human beings, and has the innate ability to bring forth positive change in their life. She views herself as an equal to her clients, and is committed to providing her clients with the tools they need to succeed. Ms. Cohen has an eclectic approach, utilizing techniques from The Gottman Method, Emotion-Focused Couples Therapy, Cognitive-Behavioral Therapy, Person-Centered Therapy, and Mindfulness, depending on the unique circumstances of the client.